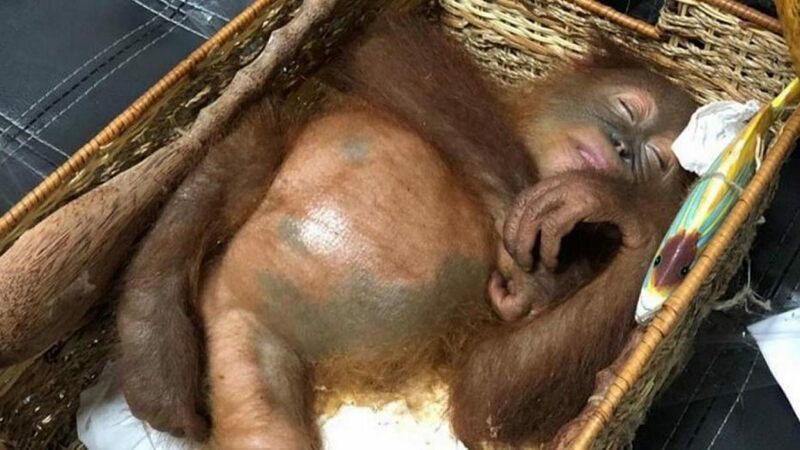 On 22 March, Andrei Zhestkov, a Russian tourist, was arrested at the Ngurah Rai international airport after he was caught smuggling a drugged orangutan in his suitcase out of Indonesia and was planning to bring it back to Russia. According to the Bali airport security, the monkey was fed allergy pills, which made it unconscious for the planned duration of the flight. Zhestko protested that the monkey was given to him as a gift and he plans to keep the monkey as a pet. Currently, the 27-year-old is sentenced five years in prison and received a $7,000 fine.